Life threatening events due to HHT complications can often be avoided with proper diagnosis, screening, and treatment. This set of criteria is used to help doctors make a clinical diagnosis of HHT. 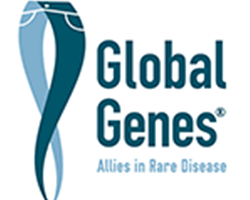 Genetic testing is a type of laboratory test used to diagnose inherited diseases like HHT. Next steps for newly diagnosed patients. It is important to gain an understanding of how HHT impacts a person's internal organs so that they can be properly treated. There are several tests that everyone who is known or suspected to have HHT should have done. Most major manifestations of HHT, including AVMs and ruptured telangiectases, are very treatable. Treatments vary depending on where in the body a person is affected. The Epistaxis Severity Score (ESS) allows you to determine the severity of a person's nosebleeds. This tool can be useful for determining a baseline of nosebleed severity, as well as measuring the effectiveness of a particular treatment.